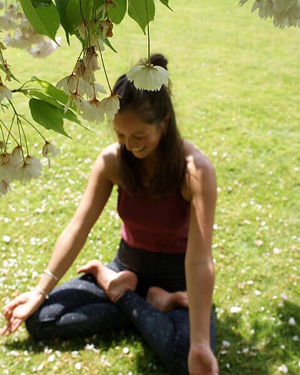 We’ve also organised Mindful Yin Yoga Workshop with Emilia on Saturday 27th April 2019. This workshop uses Yin Yoga and Mindfulness (MBSR) with elements of Restorative Yoga to create a space of allowing a deep letting go at all levels. 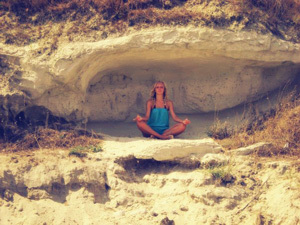 We will also practice Pranayama (breathing practice) to bring profound sense of internal balance and harmony. 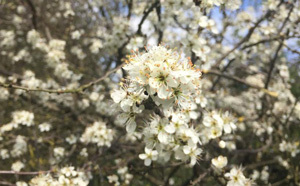 The workshop explore a free-form, intuitive approach to practice, with a focus on how to move in a more connected, harmonious way. Inspired by the teachings of Vanda Scaravelli, you will learn to move sensitively, avoiding imposing on the body and helping you to move with ease towards each Asana. Please check our yoga workshop page for more information. Leonora Zotti has been practicing for over 30 years and teaching yoga for 20 years. She has taught in many different contexts including: group classes, corporate Yoga, festivals, retreats, workshops, one to one, as well as mentoring and teaching on 200 hour recognised teacher training courses. Leonora can cater for all levels and abilities and if your looking for a small friendly classes with expert guidance, try coming along! Celia is now on a maternity leave but our prenatal Yoga and Pilates class will resume again from next term, Monday 25th February 5:00 -6:00 pm with Leonora. She has covered for Celia many times and is very familiar with the class. Leonora has been teaching yoga for 20 years and she has taught in many different contexts including: group classes, corporate Yoga, festivals, retreats, workshops, one to one, as well as mentoring and teaching on 200 hour recognised teacher training courses. Her teaching style is deeply influenced by mindful movement practices and has a strong focus on embodied awareness and personal inquiry. This class will focus on building strength and control in the pelvic floor muscles to prevent incontinence and prepare for birth. It will also include breathing techniques to reduce stress and promote relaxation. If your looking for a small friendly pregnancy class with expert guidance, this will be perfect for you!